New Patients Only. Valid on a package of 5 laser hair removal treatments for the full back. 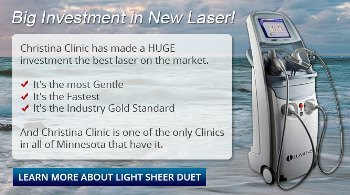 Be Careful!… there are a lot of “fly by night” laser clinics in Minnesota right now because unlike other states Minnesota does not require laser clinics to be medically supervised. Christina Clinic has always been medically supervised and was even recommended by the WCCO I-Team news as a safe and reputable clinic. 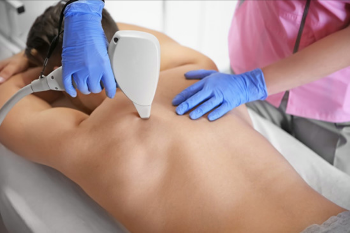 Valid on a package of 5 laser hair removal treatments for the full back.